Here it is – your one-stop information guide to get you on track for better cash flow. It will be delivered directly to your inbox. Once you complete this form, we'll also give you information about - THE LANDSCAPERS FREEDOM FORMULA - an on-line training course for landscape professionals. Hey, congratulations on making the decision to download this eBook. 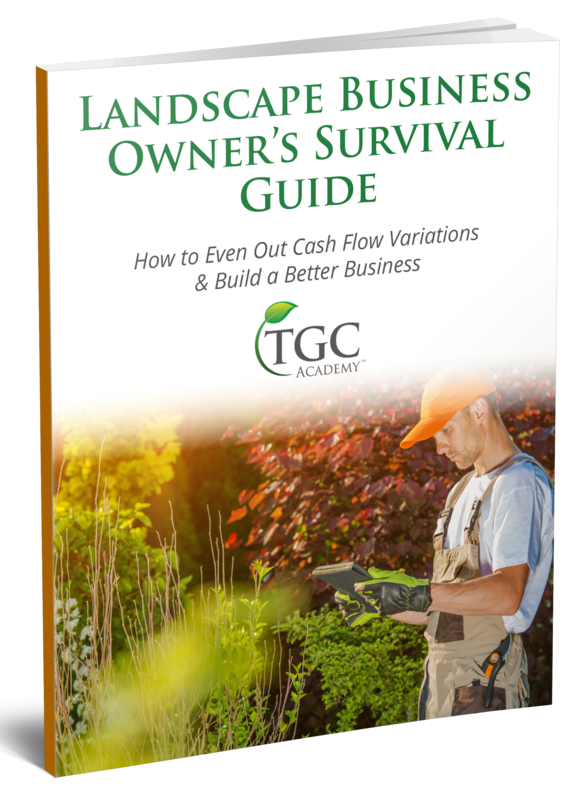 The Landscape Business Owners Survival Guide is filled with information to help you manage your cash flow so that you can grow your business to the next level of success. It's super easy, just fill out the request form below submit it, and the book will be delivered to your inbox immediately. Before you do that I'd like just to give you a little bit of information so that you know where this information is coming from. My name is Monique Allen. I am the founder and creative director of The Garden Continuum, an award-winning seven-figure Landscape Company. I've been in this industry for 30 years, and I've employed people for 25. In that time I've learned a heck of a lot about how to build a business, and one of the key elements that I wanted to communicate in this ebook was demystifying the cash flow part of a business which seems to be the first place that businesses struggle. So what I did was I distilled my 30 years of business building perspective in this book and particularly outlined 15 key cash flow principles that I believe are incredibly useful to move you out of that feast or famine struggle model and into a model of what I call ease and flow and how you run your business. This book would be ideal for anybody in the service business, the trades, and particularly businesses that struggle with the fluctuations of seasonality and, of course, landscape companies struggle with seasonality, and because the landscape industry is near and dear to my heart, I really wanted to get this information out there to help business owners succeed. Now I've seen several colleagues and even employees determined that now it's time to start my own business. What I find is as soon as the "new business glow" sort of wears off, the first trouble area is cash flow. So I hope that this book demystifies all of that and get you some amazing tools that you can put into place right away. So don't delay, download the book it's free. Read it immediately and give yourself a challenge. Employ one two or maybe even three of those keys as quickly as you can and see if the temperature of how you do business, how it feels to do business. Now this information is useful to you, and you feel intrigued by then I encourage you to enroll in my Landscaper’s Freedom Formula training course. It's a 3 module intensive course which will use these 15 keys and also goes over three areas of your business I believe need to get handled early on so that you can grow quickly and successfully up the business ladder. Move your landscape business from "Feast or Famine" to "Ease and Flow"
Download the eBook today and as an added bonus, learn about the Landscapers Freedom Formula on-line class.